This Post has already been read 1176 times. 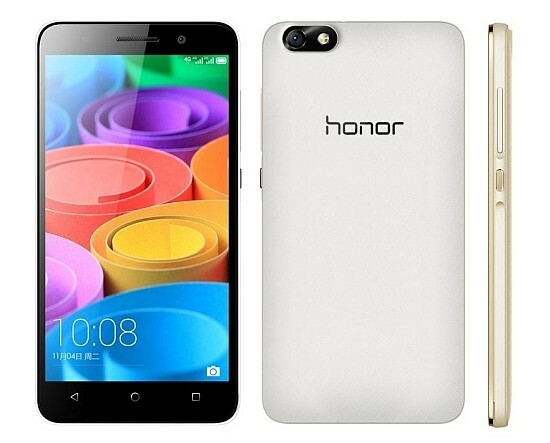 Another honored member of the Huawei Honor Series, Honor 4X has recently landed in the local smart phone market. This smart phone has skillfully upheld the legacy of its predecessor Honor smart phones which helped Huawei achieved the spot world’s third largest mobile phone vendor, beating Microsoft globally and Samsung in the local Chinese market. Available at an affordable price, Honor 4X has got a great deal of exciting and unique features to offer to its users. This smart phone runs on 1.2 GHz Octa-core processor, which is supported by the latest Android 5.0 Lollipop and Huawei’s EMUI 3.0. The spacious internal memory, strong battery power and extraordinary camera prove that Huawei is never going to cease giving treats to its customers with economical and high tech smart devices. The structure of Honor 4X is quite similar to its siblings. The strong patterned body cover with honor logo at the back is a signature trait. The 4X has got a full touch front screen with power keys and volume keys on the right side of the device. This smart phone has a 1280×720 pixels, 5.5 inches large, high definition screen, which, with 16 million color rich display, is supremely capable of producing extra fine and vivid images. Music videos and movies when viewed on such big and vibrant display would definitely create an unforgettable and lifelike impact. Like other Huawei smart phone, the soft capacitive navigation keys are at the bottom of the screen. The design is very much familiar and to be honest, there is no such uniqueness in it. But the 4X’s body is strong and the back and screen is structured to be scratch resistant. Huawei has built Honor 4X was a powerful processor to give excellent performance on the go. With 64-bit, 1.2 GHz Octa-Core processor Honor 4X is the most suited smart phone for the gamers and browsing addicts. As a strong and powerful processor ensures unhindered internet surfing, gaming, video or movie buffering and never ending music, the processor of 4X is the best in this regard. Huawei’s this recent prodigy has significantly upheld the legacy of Honor Series smart phones, which has earned acclaim for this technology brand all over the world. If the user wants to experience real power and swift, performance than Honor 4X is the perfect choice for him. Now let’s talk about the features and apps loaded in Honor 4X, Huawei has aptly equipped 4X with the latest cool and amazing features. This smart phone encases the latest Android 5.0 Lollipop with the Huawei’s efficient EMUI 3.0 user interface, which would provide the user with an unforgettable mobile phone experience. Along with the abundant built-in apps, Honor 4x supports a wide range of third party apps, which would let the user make maximum use of his/her device. The powerful processor with the latest OS and spacious storage, i.e. 2 GB RAM and 8 GB ROM and memory expandable up to 32 GB, 4X is a super energetic, smart phone which would bring the latest technologies in the hands of the users. Huawei’s pre loaded maintenance app, a feature of numerous other Huawei smart phones, keeps the device light and running by closing the unnecessary apps, active in the background and deleting the redundant files. Huawei has also incorporated its modern noise reduction technology in 4X which, with the help of Dual microphone design, will ensure superb call connectivity and voice productivity even in the most challenging environments. Honor 4X, back by its super proficient processor and stable 4G connectivity would provide long hours of web surfing and gaming, without any lag. The Game loft’s exclusive content is also available on this smart phone which would give the users a diversified range of games to choose from and enjoy his/her leisure time. Capturing life through your smart phone’s camera is obviously the most favorite pastime of all the smart phone users. To facilitate this interest of the users, Huawei has integrated superb quality cameras in its Honor 4X smart device. The 13 MP rear camera and 5MP front camera, Honor 4X obviously stands quite high among the peer smart phones. Huawei has manufactured 4X’s cameras with unique and exciting supporting features such as Ultra snapshot, off screen photo mode, all focus modes, map view, etc. These quality cameras are capable of capturing a moment in 0.6 seconds and the thrilling features attached with them would certainly inspire the users to create memorable pictures, which they can cherish whenever they want. The brightness and neatness of the 4X’s display plus the magnificent picture quality, Huawei’s Honor 4X is truly going to be a treat for the users who love taking pictures and selfies all the time. Honor 4X has been packed with huge battery by the manufacturers. The battery power of 3000 mAh makes Honor 4X the ultimate partner in the busiest days of the users. The battery backed with power saving features, would keep your device running with you throughout the tiresome without the need of repeated charging. This battery will provide your smart phone will super power for straight 48 hours and if that’s not enough for you then on the ultra power saving mode, you can keep your device running for complete 7 days. The strong battery and supporting technology would make Huawei Honor 4X a perfect companion for the users who remain in the field for long hours and have the most cumbersome work schedule. With a diversified range of smart phones available in the market, one does get confused when out to purchase a new device. But doing a sharp comparison, keeping in focus the provided features in contrast to the price of the smart phone, always helps. Huawei’s smart phones have made the lives of the user lot easier by delivering excellent quality smart phones in affordable price range. Honor 4X is quite a good example of Huawei’s expertise and customer friendliness. So, if you a person who loves taking pictures all the time, has craving for fast internet browsing with super efficient mobile performance and at the same time, you don’t want your budget to be direly effected than Huawei Honor 4X is the ultimate choice for you.